Relax, unwind and spend this Sunday (July 24) in the best possible way taking in the sounds of Mi Casa at Liberty Corporate’s Music at Makaranga. Presented by Liberty Corporate, Music at Makaranga, hosted at Makaranga Garden Lodge in Kloof, has become a highlight for avid music fans and lovers of local entertainment within the Highway area. Since 2010, Mi Casa have become popular for their signature soulful sound and unparalleled creativity. 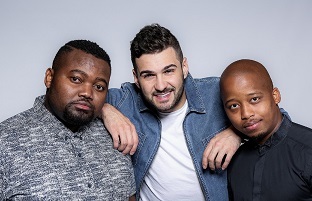 This South African house music group comprises of three highly talented musos – J’ Something, Mo-T and Dr Duda who have released numerous number one singles which have hit top spots on major radio stations around the country, such as These Streets, Jika, Your Body, Turn You On and more. Through their unique sound, Mi Casa released album’s Mi Casa Music, followed by Su Casa Mi Casa which is a double platinum seller and last year, released their latest album, Home Sweet Home. These South African Music Award winners continue to bring their energy to every performance and always get feet dancing with their infectious beats. Gates open at 12 noon. Tickets R140 (free for youngsters under 8) booked through Computicket provide top class musical entertainment with food available from the artisanal food stalls inside the event as well as the Makaranga restaurant, including fully-stocked cash bars. Picnics can be pre-ordered through the Makaranga Garden Lodge Deli by emailing deli@makaranga.com Patrons are requested to refrain from bringing their own food, drinks, chairs and umbrellas as the venue has everything needed for an amazing experience and remember to have fun! For more information follow the Facebook events page https://www.facebook.com/events/596892270484404/ or call Big Nite Out on 031 512 5000.